Wait! Don't throw those garlic scapes away! 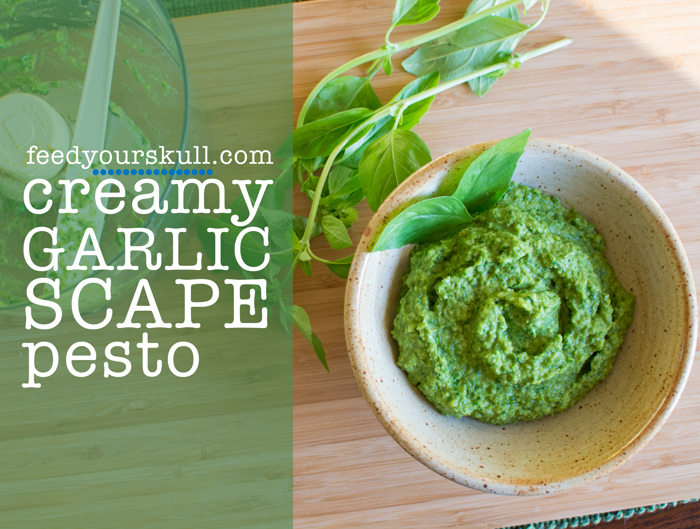 Save those crazy curls and transform them into this delicious garlic scape pesto!